Share Your Newest The Sims 4 Creations Here! I thought I would add this spot to The Sims 4 Lots! We have one kinda like this set up for The Sims 3 That SimGuruHydra set up for us! It is simply a place to showcase your newest TS4 creations!! So please share in this thread all your newest creations for The Sims 4!! I thought it would make it easy for everyone to see what everyone is creating in The Sims 4!! Please don't forget to add your Hash-Tags Or Origin ID, & Download Links, so people can find you and your builds in the Gallery!! Please Feel Free to Share your TS4 Rooms, & Sims also!!! We would love to see all of your wonderful creations!! This Link will get you to each post in the thread, That has creations!! Thank You sweet Rose!! Rosemow's Weekly Challenge Link Here! I can't wait to share what I have been making this morning I'll be another 24 hours. This gonna be good lol. Great idea Bree, there are so many great builders and I don't like missing their new lots. My Origin ID is DippyDesigns or search hashtag # dippydesigns in the gallery. in Willow Creek with a large deck overlooking the river. skil objects to keep the family amused. Three bathrooms. and curved terraces. Built for Dusty Turf, Oasis Springs. Oasis Springs. Open plan living room and a rear terrace. Three bedroom, three bathroom home with terraces. 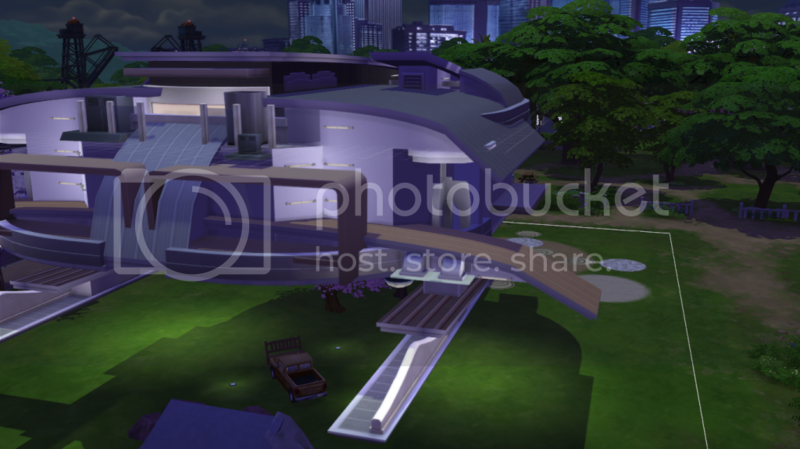 One bedroom, one bathroom with semi covered "pool"
Built for athletic sims, all athletic skill object on lot. and wants to earn a living as a gardener. Modern luxury cabin with large covered deck and open fire. Open plan kitchen diner, office nook, Living room, bonus room. Idea for a sim who loves the outdoors, is a geek or handy. dining, partying and bathing opportunities all outside! the outdoors. Modern interior and some basic landscaping. Creek. Front and rear terraces and a modern interior. Bargain Bend in Willow Creek. Now available in the Gallery! Willow Creek. Lovely landscaped gardens for your sims. Two bedroom cottage in traditional stone on a larger plot. bars and outdoor dining. Throw a pool party in style! two twin en-suite and a nursery. Luxury fittings and a gym! terrace with fireplace. Twin bedroom with en-suite bathroom. She is called María Antonia DeVillakisiera. I made her for my friend Frutoso who made a Palace and is playing with TS4 version of his Royal Family in TS3. He needed a wife for the heir to the throne, the Infante Don Carlos. All his sims are very peculiar, so my female sim had to be so too. She is ambitious, flirty, teasing and ... insane !! Great thread! Very cool builds, so far. 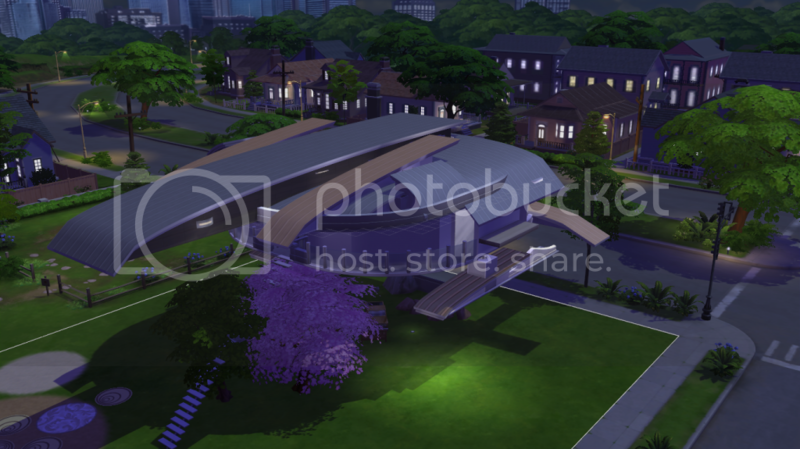 Brookvale Estate was created with the renaissance sim in mind! It has many areas for working on skills including a gym, solarium (with garden containers), sunroom with easel, two office areas, a bar, and a chef's kitchen. There's also a playroom, second living area upstairs, and two expansive porches. There is an enormous spiral garden walk in back, with a spot for sims to rest and enjoy nature. Also plenty of space to add items for childrens' outdoor activities. Spotted these on two different neighbourhoods already. The fleet are coming guys. Could be a matter of hours, This is no joke... They intend a full on invasion on all your lots. @DippyDesigns - :o these are amazing - I love them all! @AIRIS6962 - Maria Antonia is stunning - the pic of her looking at the engagement ring is priceless! @KaylyRed - Brookvale Estate is beautiful - the landscaping is just gorgeous! @JBEAR1 - this is terrifying! :o Well done! I can't add anymore links to this post because there is only a certain number of lines that you can post in a post. There are so many great creations that have been posted! It is great that you have set up a showcase thread for sims 4 builds @Breemiles It will be great for simmers to share their creations here. I have already posted about your very nice homes on your other threads @dippydesigns and @KaylyRed. They are very nice homes! 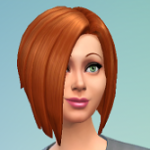 I thought it might help if I made a list of the simmers that have posted here, and link to their post in this thread. I can add the names as people post new creations. 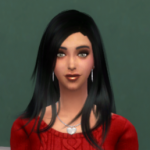 Maria Antonio is a very nice sim! @AIRIS6962 She has a very nice face. She has great background details descriptions of her! Her clothing looks nice.Very nice pictures that Frutoso has taken of her! She looks a very nice sim to enjoy playing in the game. I agree rosemow. My favourite thread already. We all hate to see our personal threads get buried and I always feel weird posting in my own thread in case it looks like bumping or something. This way if anyone has new work everyone gets a bump Happy days. Your ufo spaceship build is great! @JBEAR1 Great exterior shape of it! The curved roofing is great! It looks great how you have done the wings! It is a very creatively designed build! Wow Amazing creations everyone!! Here is what I have!! Haha Bree, dat chicken looking at them both like "sup?" Each of your builds are very nice Bree! I have already posted about them on your creations showcase thread. They are all very great! @BreeMiles - I really love your style! Your attention to details is second-to-none. I absolutely LOVE the wedding venue! Thank You all very much!! I also love your alls builds!! Very amazing work!! Thanks JBEAR1. I love the Spaceship one, getting it my Game soon for a good look through. 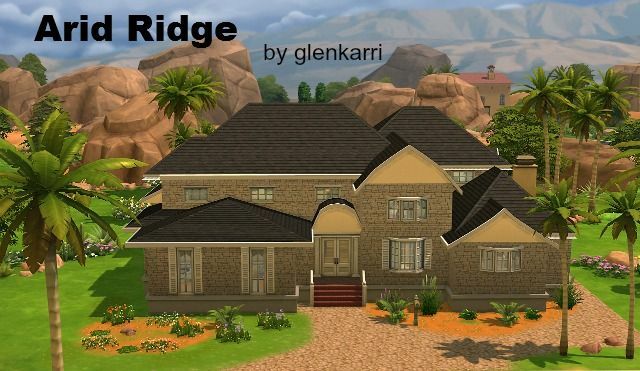 It is great that you have added your nice homes to this thread Gkenkarri I have posted about them on your creations thread. They are very nice homes! 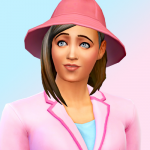 I have edited a post on the front page which links simmers to the posts that contains their creations. I hope that it helps. 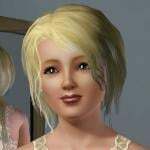 I will add on new simmers and creations as they are posted.